The Migrating Media project, a partnership of Hallwalls Contemporary Arts Center, Squeaky Wheel, Burchfield Penney Art Center and the Experimental Television Center, was developed as a model for new ways to prepare older media for a digital future ensuring a vital contemporary presence for the moving image art of the late 20th century. Migrating Media offers non-profit arts and cultural organizations in Upstate New York a forward-looking and efficient means to safeguard significant video collections of tapes that would otherwise be lost to format changes and tape decay. Each year Migrating Media will digitize about 1000 titles, which represent independently produced videos with significant ties to our region. Collections range from works that were produced by video artists, activists and social-issue documentary makers, for exhibitions and cable access broadcasts throughout New York State, to those tapes that document presentations by artists in the fields of music, performance, literature and visual arts. Migrating Media creates a new space in the digital world of the 21st century for the analog video collections of the recent past, that until now have remained inaccessible on obsolete formats such as Umatic tapes. In this way, the moving image media arts and cultural heritage of our region can be viewed and shared with a broad public for generations to come. 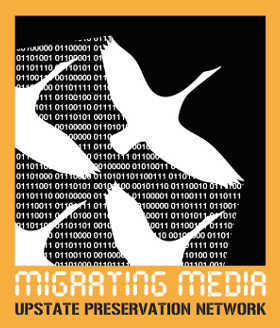 Migrating Media was born in the Fall 2007 at the annual conference of the Association of Moving Image Archivists (held at Eastman Kodak in Rochester), immediately following a special presentation entitled History of Video Art: New York Pioneers. The panel, which was organized by Independent Media Arts Preservation (IMAP), featured presentations by Upstate New York arts organizations on the major role our region played in the advancement of media art. Based upon the preservation needs demonstrated that day, Media Matters founder and CEO Jim Lindner resolved to assist our region by donating a SAMMA Solo. 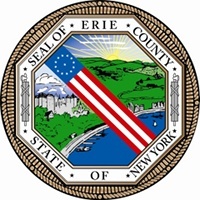 The unprecedented donation was meant to spearhead the preservation efforts of arts organizations across New York State, and to save the cultural treasures of our regions videotape collections. Mr. Lindner is recognized in the field of media arts for his commitment to preserving independently produced work, such as videos made by artists and activists, and in 1995 won Anthology Film Archives' prestigious preservation award for his work in the field. He is an internationally respected authority on the preservation and migration of magnetic media and has pioneered many of the techniques now commonly used for videotape restoration. In 1992 he founded VidiPax, one of the first multimedia preservation companies, and later advanced the technologies of migration further by founding SAMMA Systems, responsible for the development of automated migration systems such as SAMMA Solo which simultaneously transfers analog video to multiple digital formats for preservation and access. Contact Hallwalls! Donate to Hallwalls! Join our Mailing List! 5/30/19: AHA! : Annual Hallwalls Auction! JACOB DRUCKMAN IN CONVERSATION WITH JAN WILLIAMS AND JESSE LEVINE.